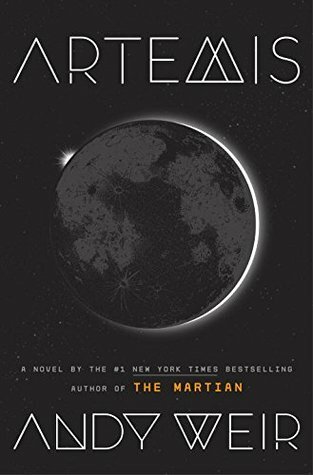 This entry was posted on Wednesday, December 6, 2017 and is filed under Andy Weir,Artemis,Book Review,Heist,Moon,Space,The Martian,Thriller. You can follow any responses to this entry through the RSS 2.0. You can leave a response. I so enjoyed this and loved Jazz. I listened but won't share my thoughts until January. I am not sure if audios are your thing, but I wholly recommend The Martian on audio. It was fantastic. I love audios! It is honestly the only way I'm able to maintain my reading schedule. I'll be on the lookout for The Martian! I read The Martian a few months after its release because of the amazing reviews. The movie did it justice which is rare! So I have this one on my to-read list. I am so glad you loved it! Interesting. I loved The Martian. I absolutely did not like Artemis. In fact I put it down, couldn't stand Jazz :( Great review though! I wonder if reading The Martian first would have changed my opinion of this one. I had nothing to compare it against. Sorry to hear this one wasn’t for you. IF it makes you feel any better, I haven't read The Martian either. I've heard great things though, obviously! Heard great things about this one too. Glad you liked it! It sounds like it's pretty realistically written and has a great main character. I'm happy to hear I'm not the only one lol. Perhaps I'll get around to The Martian this new year!